The flowers are blooming at Durán Arte y Subastas’ upcoming sale. Check out Barnebys favourites in the wide selection of floral still lifes up for sale! 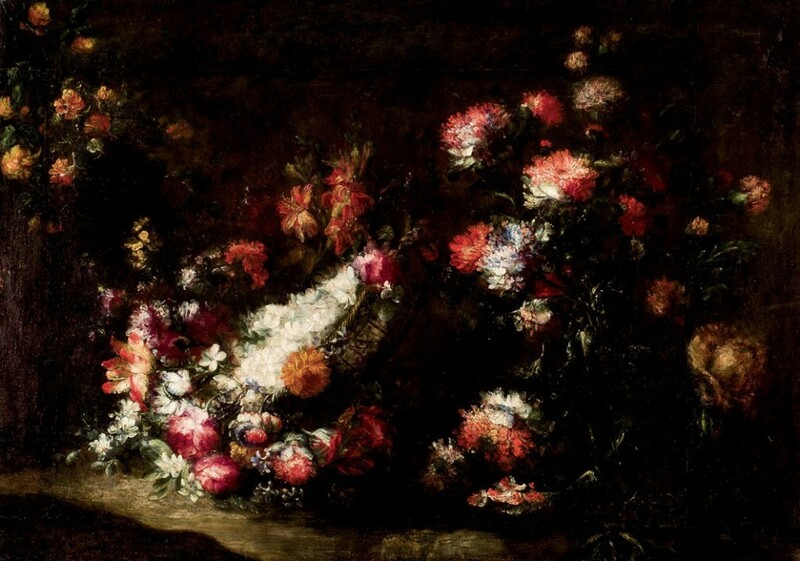 The still lifes flourished in the Netherlands in the 17th and early 18th century. The still life was established as its own art form at the end of the 16th century. 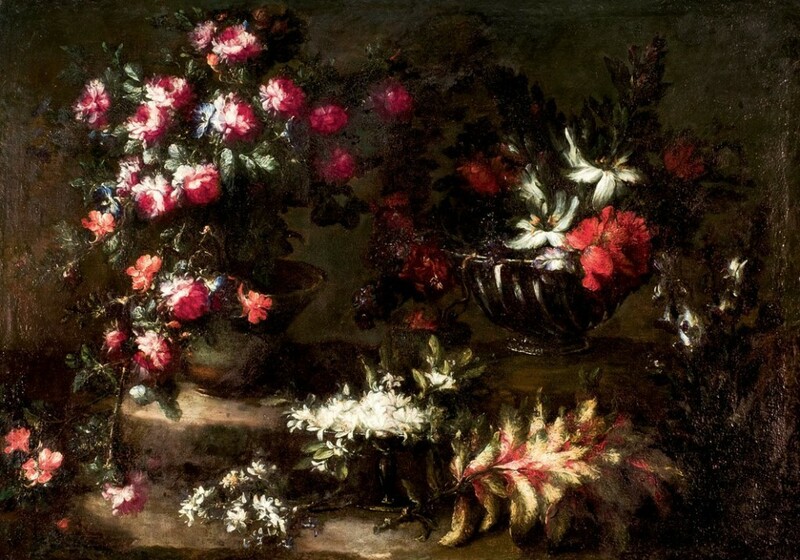 During its heyday with a growing demand, the still life art form started to divide into subcategories such as food, fruit, dead animals, vanitas, man-made objects such as vases and glasses and of course - flowers. Through this subtle subdivision, artists had the opportunity to specialize in a particular theme of still life. A Painter who made a name for himself early on as a specialist in floral still lifes was Jan Brueghel the Elder (1568-1625). As a member of the Flemish painter dynasty, he was also known as Blumenbrueghel. 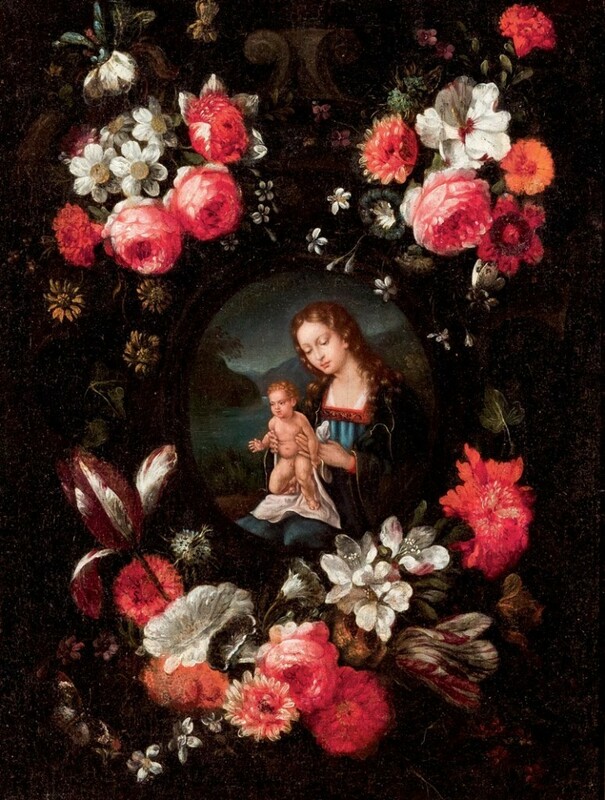 Brueghel the Elder made many gallant paintings, in particular, versions of a floral still life, in which a flower wreath frames a central image, often depicting the Madonna and Jesus. 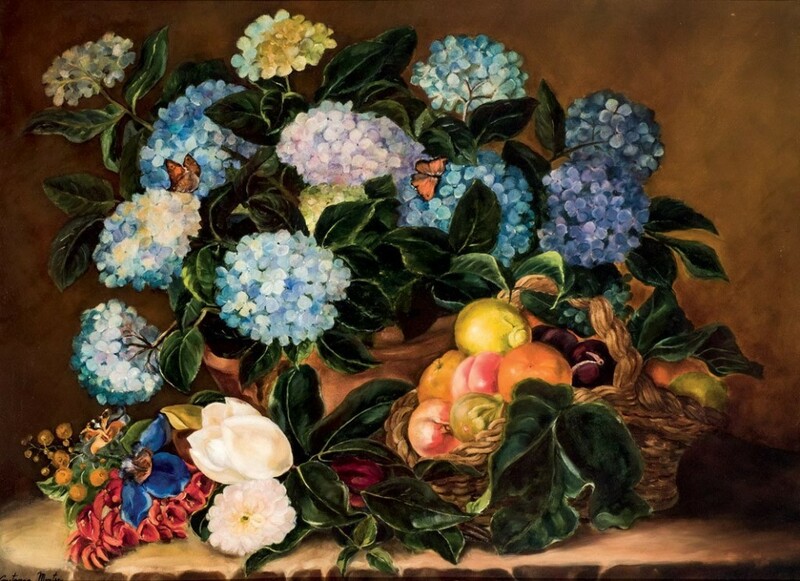 The combination of a floral still life and a figurative depiction often led to the cooperation between two painters specialising in the respective genre. Jan Brueghel the Elder, Frans Franchen the Younger, Peter Paul Rubens and Frans Synders all worked as partners. After a decline in the 18th century, the still life was rediscovered in the 19th century. The floral still lifes was now being replaced by vanitas by the baroque predecessors. Vanitas was a symbol of the transience of life, reminding people to use their life well. Left: RAMÓN STOLZ SEGUÍ (1872-1924) - Flower Vase. Right: JOSE MANUEL FONFRIA - Flower Vase. The Dutch and Flemish masters of still life expressed this through withered leaves or insects feeding on the flowers. Beetles, as well as butterflies, are still frolicking on the arrangements in the 19th century still lifes. The trailblazers of modernism also created works of this subject. The best known are Vincent van Gogh's sunflower paintings from the late 19th century. 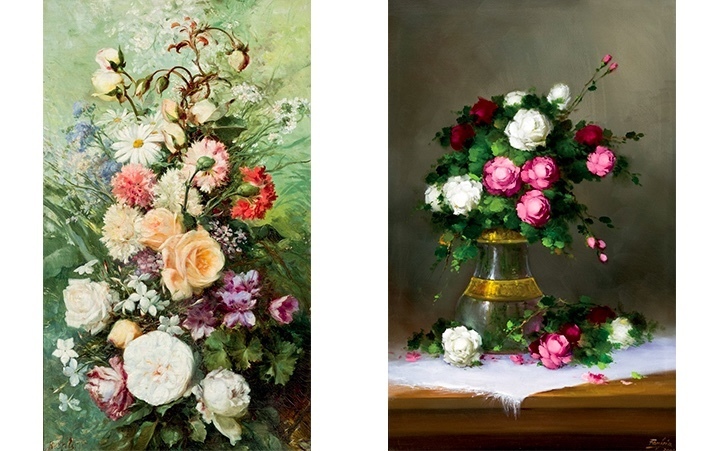 These floral still lifes will be auctioned out on 21st June at 5 pm at Durán Arte y Subastas. As usual, the auction will cover a wide range of paintings, drawing, sculptures, jewellery, antiques and clocks. Discover the catalogue with close to 900 lots right here!